All Things Talent reached Hyderabad once again for a discussion on ‘Diversity and Inclusion at the workplace’. After five successful sessions across a number of cities including Mumbai, Bengaluru and Gurugram, the session at Hyderabad started with a brief introduction of All Things Talent, powered by iimjobs.com and hirist.com. 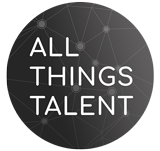 All Things Talent is of course, our forum for HR professionals to network with each other and learn from industry stalwarts. Prashant Sharma, Manager – Marketing at iimjobs.com introducing the topic of discussion. The event focused on how innate biases, conscious and unconscious, impact the workplace and disadvantage sections of the workforce, what could be done to promote diversity and inclusion and how this would help in achieving better outcomes for corporations. Arsh Rachit – Head of HR at Gap Inc. Speakers (From left to right) – Capt Pragya S, Pooja Joshi, Sonia Sahgal and Arsh Rachit. To kick off the discussion, we invited Sonia Sahgal with over 15 years of experience in HR management roles to share her perspective on Diversity and Inclusion (D&I). 3) Increased inclusion of women in social events. Microsoft’s tagline for employees – ‘Come as you are and do what you love’ highlighted the value the company attached to Diversity and Inclusion. Responding to a question on her favourite Diversity and Inclusion (D&I) project at Microsoft, Sonia shared fond memories of her role in ‘Springboard’, a project aimed at bringing back women who’ve dropped out of the workforce into the fold again. Following Sonia’s speech, Capt Pragya, another veteran HR professional with experience across a range of sectors including the Indian Army, was invited to speak. “A team will only be successful if it has people with diverse perspectives”, said Pragya. The benefits of cognitive diversity and how different perspectives, interpretations, heuristics and predictive models can emerge from a diverse workforce were highlighted by her. Pragya also cited Belbin’s model of team roles which says that a successful team must have managers, thinkers and actors to back up her point. It was shocking to learn that women participation in the workforce was dismally low. For instance, did you know that just 6% of the workforce of pharma major Dr. Reddy’s laboratories is female? “ ‘Unconscious bias’ and ‘Corporate culture’ are the two main challenges in promoting D&I” – Pragya ended her speech with this sober reminder to HR leaders. The third speaker – Pooja Joshi, director of Diversity and Inclusion at Qualcomm brought with herself nearly twenty years of experience as a HR professional. “Bias, a major challenge stifling D&I, can be mitigated if HR leaders and managers are mindful of their bias. Mind reprogramming techniques like the SEEDS model can help in this”, said Pooja as she offered valuable advice on tackling bias in ourselves. She also talked about how bias can also be mitigated by other measures such as including women interviewers in the recruitment process. “People tend to form groups with like minded peers and this is why D&I needs to be promoted”, these were the words of Arsh Rachit, HR head at Gap Inc. with nearly ten years of experience. The talk revealed how we’re all uncomfortable with people who are unlike us. Managers also have to be mentored and sensitised on the dangers of stereotyping for effective promotion of Diversity and Inclusion, Arsh concluded. In the panel discussion that followed, the speakers took questions from the audience. Questions ranged from initiatives taken by speakers in promoting D&I to get back to work programmes implemented by their companies. The panelists appreciated All Things Talent for providing a support forum to promote the cause of Diversity and Inclusion (D&I) as such initiatives are sorely lacking in our country outside the corporate setup. An enthusiastic audience put forward thoughtful questions, leading to quite an enriched discussion, making it much more valuable to everyone present. The session also had a fun drawing session intended to reveal unconscious gender stereotypes in us all with regard to gender specific career roles. We also watched informative video clips on Diversity and Inclusion (D&I), including a now famous social experiment on stereotypes held by children regarding gender roles. The session concluded with a luncheon. We are thankful to the speakers and audience for making the event a grand success! Previous ArticleRefining Everyday Business with HR DataficationNext ArticleWhat makes good employees great?